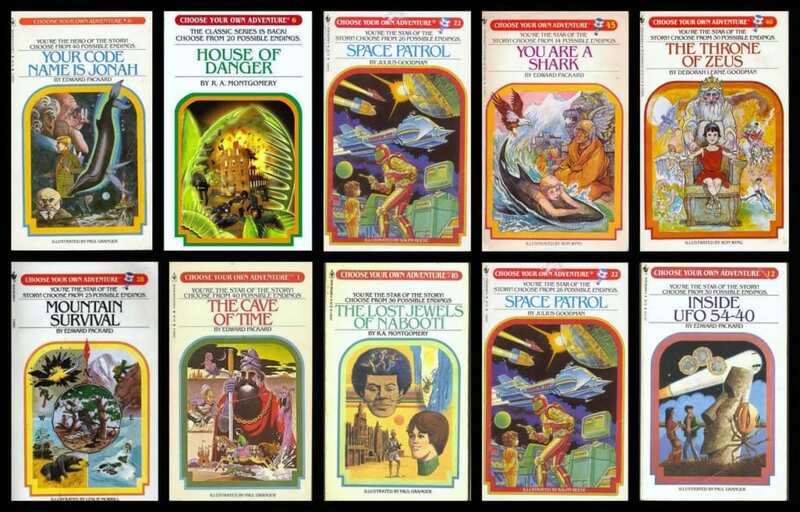 Do you remember those classic ‘Choose your own adventure’ books when you were a kid? Questions won’t have ‘right’ or ‘wrong’ answers – instead, each response leads to either another question or a final result for that user, along with an explanation. Here’s a sample of the type of content you create. Imagine you run a careers advice site – with tips and best practices about landing the perfect job. 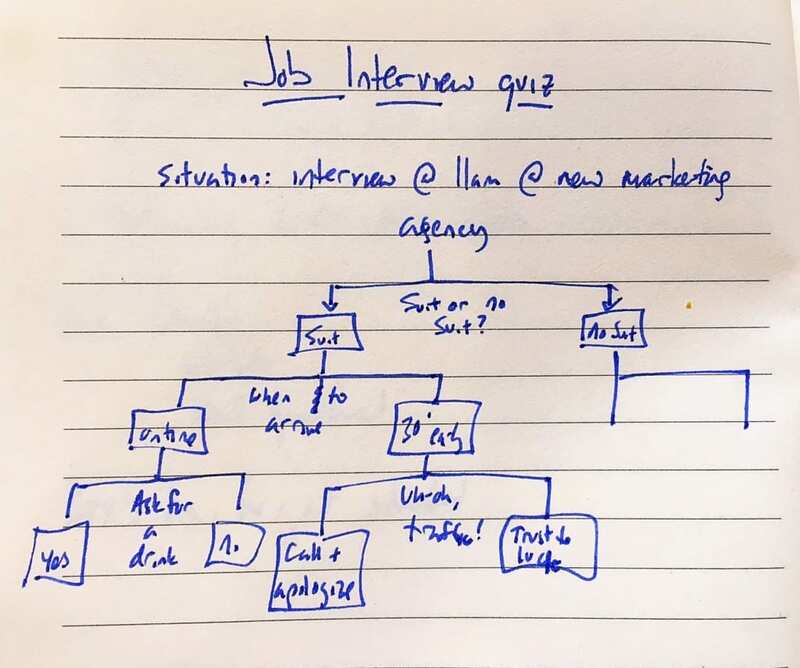 Instead of a bland list of do’s and don’ts, you create an interactive story – around the many pitfalls facing the interviewee. Riddle’s quiz creator is super intuitive. 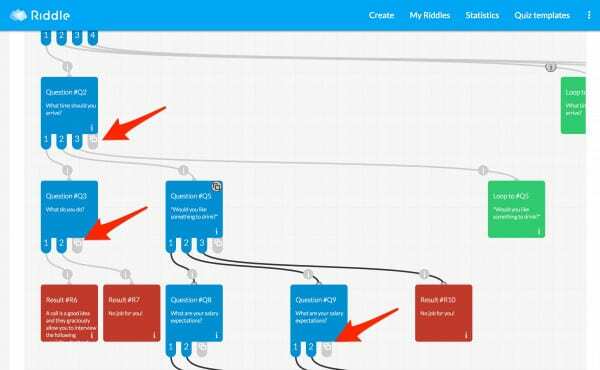 However, before you start making your interactive story, we recommend you go a little ‘old school’ and map out the flow of your interactive story quiz. It helps to have an idea of how each question will lead to the next – and on until the user’s results. Give your interactive story quiz a good title and compelling image. This will get people interested to click and start your story. 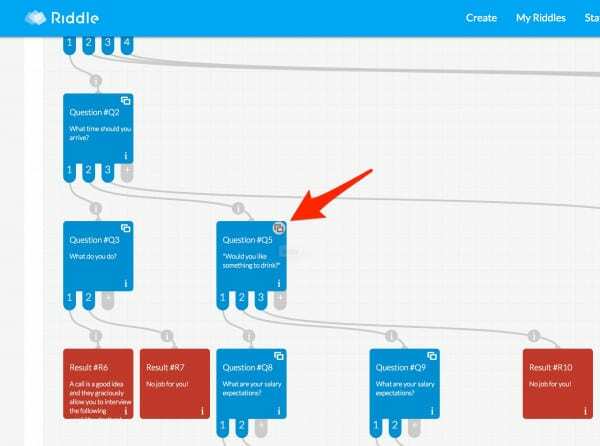 Create your first question – with at least two answer options. Each interactive story quiz can be a little complicated to start. We recommend finishing one ‘branch’ of your story first. Follow a potential user’s journey, all the way to a final result. Then go from that answer and create a question #3 and so on. Once you’re at a final result, go back to question #1 and complete the question/results for anyone who answers the 2nd option. PRO TIP: save time, and link to existing questions or results whenever possible. The last step? You want to make sure that each response leads somewhere – to a question or a result. 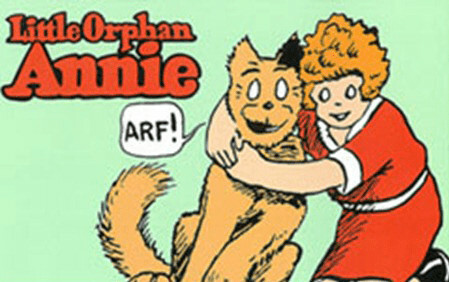 You can easily spot these ‘orphans’. If you see a white tab under any question that means one or more responses doesn’t have a follow up question or result assigned. Just like all of our quiz types, you can add a lead generation form to our interactive story quiz. We’ve added a ‘copy branch’ option as a big time saver. 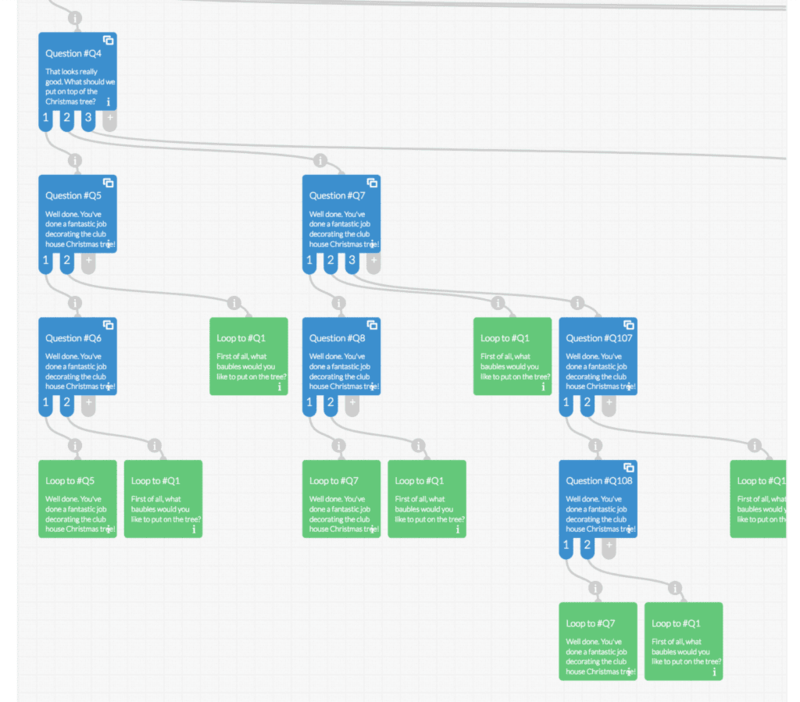 Sometimes, you’ll want to duplicate a series of questions from one branch to another. Instead of having to type them all out, now you can copy/paste a question (and all the questions below it in that branch). This also is helpful when you want to delete a question – but keep the other questions in that branch. Click on the paired rectangle icon in any question. Now, click on any grey tab below any other question – that shows there’s a slot available to paste in your branch of questions. We also recommend making a copy of your quiz first as a backup – just in case you’d like to revert to your original version. Did we miss anything? This is a new tool – and we’d love to hear how we can make it better.